If you're using an Apple iPhone, iPad and iPod devices and don't know if your iPhone, iPad and iPod is Factory Unlocked or Not? Than you don’t need to worry about it, we are sharing the working method through which you can check and know whether iOS device is factory unlocked or not besides inserting different carrier SIMs into it. Now you don't need to ask a phone retailer or any other person How to Check if iPhone, iPad & iPod are Factory Unlocked or Not? Now you can do Free iOS Factory Unlock Verification by yourself at free of cost and can Check iPhone, iPad and iPod Factory Unlocked Status with simple tool besides inserting different carrier SIMs into your iOS Devices. We are posting the working Method to Successfully Check Factory Unlocked Status of iPhone, iPad and iPod below. 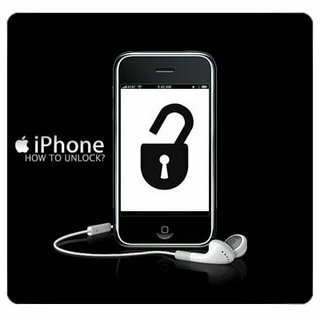 So let's start the Tutorial and Guide to Check Factory Unlocked Status of an iPhone, iPad & iPod devices. Just follow it properly to know the detailed and insight information regarding your iPhone, iPad, iPod and iOS version. Step 2: Now Go to this Website IMEI.info and "Insert your IMEI Number" in the blue box and then Click on "Check"
Step 3: Just wait for few seconds and Website will provide you detailed information about your respective iPhone, iPad and iPod device for Free. Step 4: Now after getting the full information, "Click" at the Bottom Right of the Webpage which says "Free Simlock Status Check" mentioned in Blue text. Step 5: After some seconds of loading Website will perform a Check against your IMEI number from the respective Database of Factory Unlocked iPhones, iPads and iPods and then provide you information whether your iDevice is Officially Factory Unlocked or Not and it will also tell you Warranty status of your iDevice.